Cheap WordPress hosting providers allow users to set up a website from scratch using WordPress CMS for less than $10 per month. We reviewed over a dozen of the top hosting sites and chose the six best—including the best overall—based on price, usability, reliability, storage, and extras, such as free domain names and email addresses. HostGator (Best Overall) Businesses that want low-cost plans with unmetered storage and bandwidth. Bluehost Businesses looking to use a WordPress-recommended host. DreamHost Businesses that want the flexibility of a no-contract, month-to-month hosting plan. HostPapa Non-tech-savvy businesses needing a user-friendly hosting interface. 1&1 IONOS Businesses that want ultra-cheap, $1/month hosting with a free domain name. ByetHost Business that want free web hosting and do not need a large amount of storage. Building an effective business website can be expensive and time-consuming, which is why people seek cheap hosting for intuitive WordPress-based sites. To meet these needs, we considered hosting providers that offer hosting for less than $10 per month, are easy to use, are ad-free, and have uptimes of 99.9% or more. We also considered storage, bandwidth, and added features. Price: Hosts on our list needed to be affordable for small businesses on a budget, which is why we chose providers that offer hosting for less than $10 per month. Ease of use: All of the providers on our list are intuitive, allowing users to easily sign up for hosting and install WordPress for their sites—some with one-click installations. Ad-free hosting: Small businesses require clean branding, so we only considered hosts that offer plans with no advertising. Reliability: To make our top six, every WordPress hosting site had to have a minimum 99% uptime, preferably backed by money-back guarantees. Storage: We looked for a minimum of 50GB in storage for paid plans, which is enough to host a site with a moderate amount of multimedia content. Bandwidth: Bandwidth determines the amount of data that can be transferred between your website and visitors’ browsers. Providers on this list include a minimum of 250GB per month. For reference, 1GB of bandwidth accommodates approximately 50,000 page views for sites with text-heavy web pages. Inclusions and extras: Many web hosting plans come with more than web hosting; they often include extras such as a free domain name, free custom email addresses, a free SSL certificate for data security, and built-in productivity tools such as calendars and word processors. Hosts with these added features were favored on our list. Customer service: Support is no longer a given in web hosting, so to make our list, hosting sites had to include free customer support and response times within 24 business hours. Based on the criteria above, we believe that the best overall cheap WordPress hosting site is HostGator. It only costs $2.75 per month and includes unmetered storage and bandwidth, 24/7 customer support, a 99.9% uptime guarantee, and extras such as a $100 ad voucher for Google Ads. Plus, it boasts an easy-to-use interface for quick WordPress installation. HostGator is a popular web hosting site that is compatible with WordPress. Ad-free hosting plans start at $2.75 per month—lower than Bluehost—and offer unmetered storage and bandwidth, as well as a free SSL certificate for data security. Given these unusually generous features, HostGator is best for businesses with large websites and high traffic looking for an inexpensive solution. HostGator pricing starts at $2.75 per month and goes up to $5.95 per month for their top tier Business plan; these low costs are based on a 36-month contract. All plans include unmetered storage and bandwidth, a free SSL certificate, and easy WordPress installation. * While some providers monitor usage of these resources to determine pricing, HostGator does not. However, unmetered plans sometimes experience limits due to the resource allocation of HostGator servers. Review your terms and conditions to determine if this might be the case on your plan. The entry-level Hatchling Plan starts at $2.75 with a 36-month contract or $5.95 per month with the standard 12-month contract. The plan includes one small business website, as well as unmetered storage and bandwidth, making it one of the most affordable plans without storage limitations. It includes one-click WordPress installation, a free SSL certificate, a 99.9% uptime guarantee, and 24/7 customer support. Unlike most hosts, HostGator’s entry-level plan includes unlimited storage and hosting, so it’s a plan you can use for a while without upgrading to a higher-priced plan, like you would with Bluehost or DreamHost. As it only includes one website, this plan would be ideal for single companies or standalone brands with high traffic volumes, such as news or ecommerce sites. The Baby Plan starts at $3.95 per month on a 36-month contract, or $8.95 per month on a 12-month plan. The Baby Plan includes everything from the Hatchling Plan plus a private SSL for securing user data and ensuring your certificate registration information remains private. This plan also includes the option to connect unlimited domains, as opposed to the Hatchling Plan’s maximum of one. Businesses that utilize multiple domain names—such as franchise-based businesses—will want to choose the Baby Plan as it allows for unlimited domain connections. It is also ideal for those who do not want any of their business’ contact information available to the public given the upgrade to the private SSL. HostGator’s premium plan costs $5.95 with a 36-month contract. It includes everything from the Baby Plan, plus a dedicated internet protocol (IP) address so your site is the only hosted site on a server. It also includes an anonymous file transfer protocol (FTP) account, which allows website visitors to download or view files in a specific website directory without a login. The Business Plan is best for ecommerce businesses or those that sell and accept payments online given the included IP address. It is also a good option for businesses and organizations that offer downloadable files on their site, such as educational institutions that require applications and release forms. HostGator’s customer service is available 24/7 by live chat, email, and phone. Users typically find live chat to be more efficient than email, as it provides near immediate assistance. For those who prefer to call, HostGator has a toll-free number as well as an international number for users outside of the U.S.
HostGator doesn’t include a free domain or automatic backups. Users can perform backups manually, though this can be laborious and time-consuming. Those who want automatic weekly backups will have to pay an additional $15.95 per year. HostGator has an average rating of 4.2 out of 5 stars on our HostGator reviews page. Positive reviews frequently noted that users were satisfied with HostGator’s quality of customer service and that the platform was generally easy to use. Negative reviews indicated that the host seems to undergo a lot of maintenance, which is often not communicated to users. Visit HostGator online to learn more about its cheap WordPress hosting plans. Click on the orange “Get Started” button in the center of the homepage and take advantage of their low introductory rate of just $2.75 per month. Bluehost is a web and email hosting provider notable for being recommended by WordPress—and for plans that start at an affordable $2.95 per month. Additionally, Bluehost boasts high uptimes and feature-rich packages with email and security tools. It’s the best for businesses looking for a low-cost, feature-rich host with WordPress’ stamp of approval. Bluehost shared hosting plans start at $2.95 and go up to $16.99 per month. These prices are dependent on signing up for a 36-month contract. All Bluehost plans boast a 99.9% uptime guarantee along with free 24/7 support, a free SSL certificate, a free domain, and multiple custom email addresses. The Basic plan costs $2.95 per month on the 36-month contract. This includes 50GB of storage, unmetered bandwidth, a free domain, a free SSL certificate, and five email accounts. Additionally, the Basic plan—as with all plans—offers one-click WordPress installation to make it easy to get your site up and running. Given the relatively small amount of storage but high bandwidth of the Basic plan, it is best for companies that have small websites—those with fewer than 20 pages and not a lot of images or video content—but receive a lot of traffic. This includes marketing agency sites used for drawing in prospective clients, text-heavy news sites, and informational sites on public figures. The Plus plan is Bluehost’s mid-range hosting plan that costs $5.45 for the first month, then $12.99 thereafter. The Plus Plan includes everything from the Basic Plan, but also comes with unlimited storage and unlimited email accounts. Users would want to upgrade from the Basic plan to the Plus plan if they find they need more storage than the allotted 50GB in the Basic plan, most likely to accommodate more multimedia on their growing websites. After the introductory rate, this plan is not the cheapest WordPress hosting option on our list, however; HostGator offers unlimited storage and bandwidth for as little as $2.75 per month with a three-year contract. The Choice Plus plan is $5.45 per month if you sign up for the 36-month contract. The plan includes everything from the Plus plan—including hosting, email, an SSL certificate, and more—with the addition of automatic backups. Businesses that want to ensure their site is backed up frequently but either do not have the time or the technical expertise to do it manually will find the Choice Plus plan to be a good option. These might include news or information database sites that host a lot of information and cannot risk losing it to server crashes or technical malfunctions. Bluehost customer service is available 24/7 online and by toll-free phone number. Its customer service is known for being fast, friendly, and helpful. However, some users report that they have trouble getting the answers they need through its phone support line. Bluehost lacks automated backups with its entry-level plans. Also, after the initial introductory rate period ends, pricing for the entry-level plan is not overly competitive given the amount of storage it includes. While the price can be retained with a 36-month contract, most businesses will likely not want to be locked into the same host for three years. Bluehost has an average 3.3 out 5 stars on our reviews page. Positive reviews frequently note that Bluehost is a good value for the price and that users find its customer support helpful. Negative reviews mention that users have experienced website downtimes. Read user reviews on our Bluehost reviews page. Learn more about Bluehost and their cheap WordPress hosting services online. Click on the green “Get Started” button on their homepage to learn about all of their available plans, or click here to set up your own hosting today. DreamHost is an industry-leading WordPress hosting provider that stands out for offering commitment-free, month-to-month hosting for just $4.95 per month. Most hosts require long-term contracts in order to get such an affordable rate. Given the no-contract pricing, DreamHost is the best option for businesses just starting to explore hosting options or those that anticipate their hosting needs changing significantly in the near future. DreamHost’s cheap WordPress hosting plans start at $4.95 per month and go up to $10.95 per month with no contract. Businesses can get prices as low as $2.59 per month with annual contract discounts, however. Plans include 50GB or unlimited storage, unlimited bandwidth, pre-installed WordPress CMS, and a free SSL certificate. The Shared Starter plan is DreamHost’s entry-level WordPress hosting plan. It costs between $2.59 and $4.95 per month, depending on contract length, and includes 50GB of storage, unlimited bandwidth, WordPress pre-installed, a free SSL certificate, ad-free hosting, 24/7 in-house support, and a generous 97-day money-back guarantee on long-term contracts. DreamHost’s pricing is comparable to others on our list, but the 97-day money-back guarantee makes it stand out. 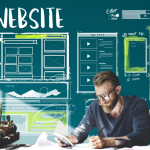 Businesses that want a web host that will accommodate a site with limited multimedia content—and are hesitant to sign up for a long-term contract—would benefit from this plan. Most likely, this serves businesses that require a while to get used to a new platform or set up their site. The Shared Unlimited plan costs between $7.95 and $10.95 per month, depending on contract length. It includes everything from the Shared Starter Plan, but with the difference of unlimited storage and the inclusion of a free domain name. While designed to offer online stores and multimedia companies room to grow their sites, the Shared Unlimited plan isn’t the cheapest option for getting unlimited storage and bandwidth. If you want the lowest cost, choose HostGator. If, however, you want a host that includes a very generous money-back guarantee with unlimited storage and bandwidth, choose DreamHost. DreamHost has 24/7 online support, offered by in-house representatives based in the U.S. They also have a large knowledge base on their website for those who prefer to troubleshoot on their own. They do not have a customer service phone number. DreamHost is missing a free domain for entry-level plan users; this means users must pay an additional $11.99 per year for a domain. They also offer only 50GB of storage for the entry-level plan, which is a small amount compared to other cheap WordPress hosting providers. DreamHost has a good average user rating of 4.4 out of 5 stars. Users noted that they like how affordable DreamHost plans are and how DreamHost frequently upgrades their system, ensuring security is always up to date. Some reviewers commented that they wish customer service was available via phone and not just online. Read more from users on our DreamHost reviews page. Find DreamHost online to learn more about their plans and services. Their customer service is available via live chat if you have any questions. Getting started with DreamHost is easy and cheap with plans costing as little as $2.59 per month, backed by a 97-day money-back guarantee. Click here to launch your own account. HostPapa is a lesser-known WordPress host, touted as being easy to use—especially for those with limited technical knowledge. Plans start at $3.95 per month and include one-click WordPress installation, 100GB of storage, unlimited bandwidth, and more. It’s the best option for non-tech-savvy businesses looking for reliable and affordable hosting. HostPapa WordPress hosting plans range in price from $3.95 per month up to $12.95 per month. Every plan comes with free domain registration, unlimited bandwidth, ad-free hosting, and automatic WordPress migration. The main difference between the entry-level plan and their premium plans is the amount of storage, jumping from 100GB to unlimited. The WP Starter plan is HostPapa’s entry-level WordPress hosting plan. It starts at $3.95 per month and gives users 100GB of storage, unlimited bandwidth, a free domain, a 99.9% uptime guarantee, ad-free hosting, and one-click WordPress installation. Plus, the auto WordPress site migration makes it easy to move your WordPress site from a different host to HostPapa. This plan best serves small businesses that have informational sites without online stores. The high storage is ideal for adding plenty of educational images and videos, but the lack of SSL security means collecting sensitive user data via an ecommerce portal is not possible. HostPapa’s WP Business plan costs $5.95 per month and gives users everything from the basic WP Starter plan—including unlimited bandwidth and a free domain—but with unlimited storage instead of 100GB. Again, it includes the auto WordPress site migration, making it easy to move your WordPress site to HostPapa. The addition of unlimited storage makes this the best plan for those already on HostPapa but need room to grow their site to accommodate more multimedia content. This might be a good option for growing, dynamic news or education sites that do not collect sensitive user data. The WP Business Pro plan is double the price of the WP Business plan, at $12.95 per month. It includes everything from the WP Business plan—from a free domain to one-click WordPress installation—with the addition of automatic website backups, faster servers, and added site security (an SSL certificate). Few small businesses will want to start with this plan, though it can easily support ecommerce sites, content-heavy news and educational sites, and networking platforms that require the regular exchange of member information. With all of this additional information, the automatic site backups are very useful, ensuring that important data is not lost to crashes or hacking. HostPapa plans include 24/7 multilingual live WordPress support; this means you won’t just get generic hosting support, but hosting support specific to WordPress. This can help you resolve hosting issues more quickly, as their knowledge is tailored to WordPress sites. HostPapa is missing a month-to-month hosting plan. This can be a problem for those who are hesitant to commit to a 12-month plan. The provider could also use a more sophisticated, reliable email platform, as users have noted that they have issues using their HostPapa email. HostPapa is highly rated with an average 4.8 out 5 stars on our reviews page. Reviewers frequently note that they are happy with HostPapa’s uptime rate and that they liked their WordPress website migration service. They also noted how intuitive the HostPapa interface is. One negative comment noted issues with HostPapa email accounts. Learn more about what users have to say on our HostPapa reviews page. Visit HostPapa online to learn more about their cheap WordPress hosting plans and find out why they have some of the easiest-to-use WordPress hosting plans available. Sign up today to take advantage of their 30-day money-back guarantee. 1&1 IONOS is an ultra-cheap WordPress host that offers reliable web hosting and free email addresses for $1 per month. It’s unique given the extra features offered at such a low price—including a free domain and free email addresses. Small businesses strapped by tight budgets but in need of a turnkey WordPress hosting solution would benefit most from 1&1 IONOS. 1&1 IONOS web hosting plans start at $1 per month with the introductory rate. For the entry-level Business plan, the $1 per month promo rate lasts for 12 months (on contract) and then increases to $8 per month. These very low introductory rates provide a cheap way of trying 1&1 IONOS hosting. The entry-level Business plan costs $1 per month for the first 12 months, and then $8 per month thereafter. The plan comes with 100GB of storage, unlimited bandwidth, a free domain, one-click installation of WordPress, 25 free email accounts, 24/7 customer service, and a 30-day money-back guarantee. 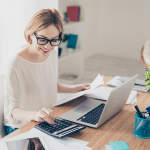 This ultra low-cost plan is best for businesses that want to stretch a tight budget, but need more than the allotted 1GB of storage and 50GB of bandwidth in ByetHost’s free plan. This could be businesses that see a high amount of website traffic but do not have many web pages or only feature limited graphics, such as restaurants and hair salons. The Pro plan starts at $1 per month for the first six months, and increases to $10 per month after the introductory pricing. It includes everything from the Business plan, with the addition of 250GB of storage and 100 email accounts. The Pro plan is a good option for those who are looking for hosting on a six-month basis, as the price increases after that point. Businesses needing short-term websites for specific events are the best candidates for this plan. You get a lot for just $1 per month, but afterwards, it would be cheaper to go with Bluehost’s Plus Plan on a long-term contract. Like the Pro plan, the Expert plan has an introductory price of $1 per month for the first six months, then jumps to $14 per month thereafter. This plan includes everything from the Pro plan, plus double the storage and 500 email accounts. Similar to the Pro plan, the Expert plan is a cheap option for the introductory six-month rate. Thereafter, you can get more storage, unlimited bandwidth, and unlimited email accounts with Bluehost’s Plus plan for less money per month on a long-term contract. It’s best for businesses building out a robust site cheaply and who aim to migrate to a different host quickly. All 1&1 IONOS hosting plans come with 24/7 customer service. Their customer service is available both online and via phone, which is something many hosts do not include. They also have a comprehensive online help center for those looking to troubleshoot on their own. 1&1 IONOS lacks a hosting plan with unlimited storage. This may be a problem for businesses with a high volume of web pages showcasing a wealth of images and videos, or those planning to build them in the future. It also lacks a free cPanel, which is the easy-to-use, industry standard control dashboard for WordPress management. 1&1 IONOS has an average user rating of 7.9 out of 10 stars on Hosting.Review. Users frequently comment that it is very reliable and that 1&1 IONOS-hosted websites have good performance with fast load times. Negative reviews noted that there is no free cPanel included. Read more reviews on our 1&1 IONOS reviews page. Visit 1&1 IONOS online to learn more about their hosting plans. The 12-month introductory rate of $1 per month makes it an affordable choice for businesses looking for cheap WordPress hosting. Get started today by taking advantage of this low-cost offer. ByetHost is a WordPress hosting provider with both a free plan and a premium plan starting at $3.99 per month. While free hosting is a standout feature of ByetHost, users also get the option to install WordPress with one click, 50GB of storage on its entry-level plan, and an SSL certificate. It’s the best host for businesses and freelancers looking for a free option to begin building brand awareness. However, functionality might be lower for the free plan versus other paid options. ByetHost offers a free entry-level plan and premium plans starting at $3.99 per month. All plans come with ad-free hosting, one-click WordPress activation, an SSL certificate, free email, free 24/7 support, and more. The free plan comes with limited storage and bandwidth, but premium plans make it affordable to grow with ByetHost. ByetHost’s entry-level plan comes with 1GB of storage and 50GB of bandwidth. While this is a small amount of both storage and bandwidth, the plan is free. The Free plan also comes with 24/7 customer support, five custom email addresses, and one-click WordPress installation. While the Free plan is ideal for cash-strapped businesses, it only serves sites with a small number of web pages and limited traffic. Given these limitations, it’s best suited for independent consultants, freelancers, or early-stage startups that only want to present basic business information on their websites. The Super Premium plan is ByetHost’s first-tier paid plan that costs $3.99 per month or $47.88 per year on the annual plan. It includes unlimited storage and 250GB of bandwidth, as well as a free domain, up to 100 free custom email addresses, free 24/7 support, a Softaculous script installer (for installation of popular CMS platforms like WordPress), and free setup. The Super Premium plan is ideal for early-stage ecommerce and portfolio-based businesses that need a lot of storage, but do not need unlimited bandwidth for heavy traffic. The option to upgrade is always available, however; unlimited bandwidth on the Ultimate plan accommodates growing businesses that either see seasonal peaks in site visitors or are experiencing steady growth over time. The Ultimate Plan is very similar to the Super Premium plan with the difference of unlimited bandwidth; this is available for $6 per month or $83.88 per year when paid on an annual basis. Most businesses will start on a lower plan, but the Ultimate Plan gives them opportunity for growth. The Ultimate Plan is a good value for unlimited storage and unlimited bandwidth, and best serves ByetHost customers who begin on lower-tier plans and need to handle more traffic. However, the best value for unlimited storage and unlimited bandwidth is HostGator’s long-term plans that provide both for as little as $2.75 per month. Technical support is free for all ByetHost plans, available via a 24/7 online support ticket system. ByetHost also has a large customer service database created to help users troubleshoot problems and answer common questions. ByetHost is missing plans that are specifically designed for WordPress. Most plans are generic, and while they can be used for any platform, they are not optimized for WordPress. Some users have even commented that self-management of their WordPress hosting is difficult. ByetHost users like how fast the servers run on free plans, though some note that they find there is occasional downtime. Users also claim their site is taken down randomly, sending their readers to a ByetHost redirect page. ByetHost appears overly cautious of misuse and can be too eager to temporarily suspend accounts it deems suspicious. ByetHost is the best WordPress hosting for those looking to host a simple and informational website for free. Its premium hosting plans make it a good host to grow with as plans are affordable at all tiers. Get free setup and hosting with ByetHost today. The best cheap WordPress hosting sites are those that are not only very affordable, but also reliable, easy to use, and feature-rich. Hosting needs will differ from business to business, but we considered providers that offer ample storage, high bandwidth, security options, and extra features like free domains and email. At the top of our list is HostGator—a host with industry-leading storage on entry-level plans, plus impressive bandwidth, security, and more for only $2.75 per month. In addition, it’s been optimized for WordPress so it’s easy to launch your site with just a few clicks. Get started with HostGator today. Free website builder + 4,500 templates - Just $4.95/month! Affordable Web Hosting - $4.95/ month!